Referencing and Administration Fee: £180.00 per person. There is no additional charge for a Guarantor. £72.00 Check out inventory (when tenancy ends). A dilapidation deposit of a minimum of one months rent and a month's rent in advance is required on or before the moving in day (in cleared funds). There may be an additional dilapidation deposit if required by the landlord if moving in with a pet (to be agreed at the time of tenancy acceptance). All tenants fees are shown inclusive of VAT. Smart deposit is a warranty product which benefits both the Landlord and the tenant. It allows the tenant to move into a property without having to find a large, sometimes unaffordable upfront sum and it covers the landlord for damage to the property AND unpaid rental. A delapidation deposit will not be required. No large upfront deposit has to be paid, just a small fee to us for providing the warranty cover. Tenants can move into properties quicker as they won’t have to save for a deposit or wait for their deposit on a previous property to be released from a deposit scheme. Tenants become a more attractive proposition to landlords as they can move in quicker. Tenants can move out without the worry of having to wait for their deposit to be repaid to them. The one off fee provides a smart deposit solution warranty for the life of the tenancy, however long that may be (only applicable for damage cover, the last months unpaid rental cover must be renewed and paid for by the landlord in line with the tenancy agreement). Set up 40% + VAT of one month's rent. Lodgement of Deposit into Protection Scheme. Set up fee of £238.80 inclusive plus 10% of each months rent per month + VAT. 6% + VAT of monthly rent amount plus set up fee of £298.80 inclusive. One of our dedicated Lettings team will visit your property at a day and time convenient for you. We will provide you with an honest valuation in line with current market trends and advise of any adjustments that could be made to maximize your properties potential. Be Streets Ahead will give your property maximum exposure to secure a swift and efficient lettings process. Your property will be advertised on Rightmove, our website, www.bestreetsahead.co.uk, The Guild website and in our shop window which attracts a high volume of prospective tenants and a sign board to highlight your property to passing traffic flow. On successfully finding a prospective tenant we can offer a tailor made service to suit your needs as Landlord. One available option is to provide a credit check reference along with the standard referencing of the employer and current Landlord and we are able to discuss the option of rent guarantee (at an additional charge). We are also able to offer an in house referencing system whereby the current employer and Landlord will be contacted, however no credit checks will be conducted via this method. Once the references are returned to us and we are satisfied the prospective tenants have met our criteria, we will be in contact with you to discuss a move in date and finalize the necessary paperwork. All references are available to you on request. An Assured Short hold Tenancy is the most frequently used tenancy agreement in the letting of residential properties. This type of agreement is also referred to as an ‘AST’ or ‘Short hold Tenancy’. Assured Short hold Tenancy agreements are normally arranged for a six month period, but can be agreed for a longer period, e.g. twelve months. This type of tenancy allows the tenant to remain in the property for the first six months, or initial fixed period. It is confirmed that this agreement is intended to create an assured short hold tenancy under the Housing Act 1988. Three copies will be signed, of which you will receive a copy, along with the tenant, and we as agent will also keep a copy. You are welcome to read a copy of our standard contract before signing. Before the keys of the property are handed to the new tenant we as agent will take one months rent and a deposit (usually equivalent to one months rent, but can be altered at the Landlords request) The Tenancy Deposit Scheme came into force on the 6th April 2007 as a result of The Housing Act 2004 there is now mandatory tenancy deposit protection All deposits taken must be stored in one of the Government approved schemes ie: Deposit Protection Scheme. If you are not protecting a tenant’s deposit you will be ordered to repay three times the amount to the tenant so it is vital that you, as Landlord, have your own account with one of the schemes (proof of such will be required). Alternatively we are happy to lodge the deposit on your behalf in our Scheme regardless of whether we will be managing the property or not. (A small charge will be made for lodging the deposit for non managed properties). Rent is collected normally per calendar month and is forwarded to you less our fees. We make the payments directly through your bank normally within 7 days. Please note that we cannot be held responsible for any charges incurred due to late payment of rental monies. We strongly recommend that a full inventory and schedule of condition be compiled, against which the tenant would be checked into and out of the property. Although we are happy to use an inventory prepared by the landlord, we cannot accept any responsibility for problems that may arise in connection with this, and we would have to refer the tenant to the landlord in such cases. We will be pleased to arrange an inventory on your behalf. Tenants are checked into and out of the property at the beginning and end of the tenancy, usually with the person who prepared the inventory, thus further reducing the incidence of inaccuracy. As of October 2008 it became necessary for all properties that were on the rental market to obtain an Energy Performance Certificate (EPC). Its purpose is to show the efficiency rating of the property and to suggest methods to improve the ratings where necessary. Be Streets Ahead can organise this with our own in-house DEA Richard Manning from a very a competitive rate of £72 inclusive. You will be provided with a copy as will the tenants (by their request). Before the tenants move in to the property the meter readings will be noted and placed in the inventory. However, it will be up to the tenant to contact the relevant utilities company to change names and find the best provider for their needs. Change of details for council tax purposes will be made clear to the Council by our in house administration team, although it would be advisable to instruct the tenants to also contact the relevant department. During a tenancy, we will inspect the property internally, initially every three months. Following the inspection, a written report will be forwarded to yourself. These can prove essential in monitoring the tenant and they can also prove to be an ideal opportunity for the tenant to bring any maintenance problems to our attention. There is currently no statutory obligation on landlords or agents to have professional checks carried out on the electrical system or appliances. However, under Common Law and various statutory regulations: The Landlord and Tenant Act 1985, The Housing Act 2004, The Electrical Equipment (Safety) Regulations 1994, and the Plugs and Sockets etc. (Safety) Regulations 1994, both of which come under the Consumer Protection Act 1987, there is an obligation to ensure that all electrical equipment is safe. The Gas Safety (Installation and Use) Regulations 1998 sets out the specific duties of landlords in relation to the installation, maintenance and use of gas appliances, fittings and flues in rental properties. Ensuring that all gas fittings and flues are maintained in a safe condition. Ensuring that an annual safety check is carried out on each gas appliance/flue. Ensuring that all installation, maintenance and safety checks are carried out by a Gas Safe registered engineer. Keeping a record of each safety check for at least two years. Issuing a copy of the latest safety check to existing tenants within 28 days of the check being completed, or to any new tenant before they move in. Ensuring that any defects to gas fitting and flues that are discovered are rectified before the equipment is used again. Be Streets Ahead can arrange a test to be conducted at a competitive price. As from 1st January 1997 all furniture in tenanted residential property must comply with the 1993 amendments to the Furniture and Furnishings (Fire) (Safety) Regulations 1988 which extends the scope of the Consumer Protection Act 1987 (CPA). This covers the supplying (hiring or lending) of specified goods (upholstered furniture and certain furnishings) "in the course of business". All furniture or furnishings that you supply with a furnished house when you let it out have to be clearly marked with a label showing that they meet all of the necessary standards. All new furniture that is subject to the law should come with a label already attached, but over time, safety labels can be lost, removed or damaged. It doesn’t matter if they originally complied or not, you must be able to demonstrate this with the safety label. If you rent out the property after the labels have been lost, you should either have the furniture re-tested or replace it. 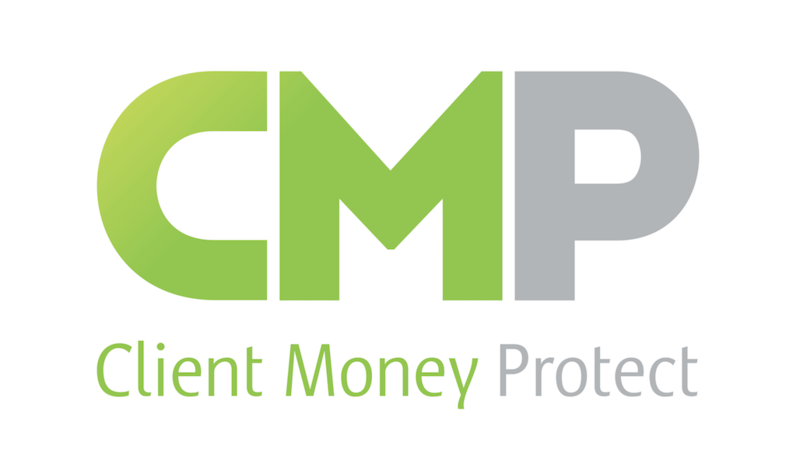 Please note we are members of the Client Money Protect Protection Scheme. Click here for our membership certificate. Be Streets Ahead, Sales and Lettings Agent in Bristol.